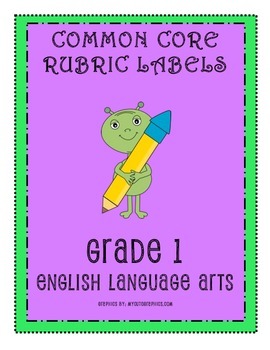 This document (zip file) contains 41 pages of Grade 1 Common Core ELA Rubrics. Each page will have 6-10 Common Core rubrics of a particular ELA standard. 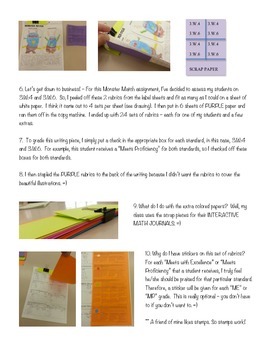 For example - Page 1 will have 10 rubrics for 1.RL.1. 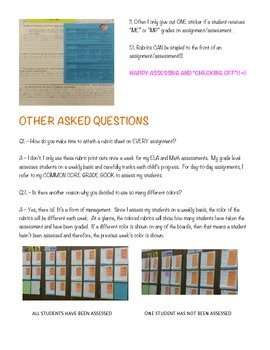 Page 2 will have 10 rubrics for 1.RL.2...and so on. ALL 41 standards with rubrics are included -- A TOTAL OF 400+ RUBRICS!! 1. 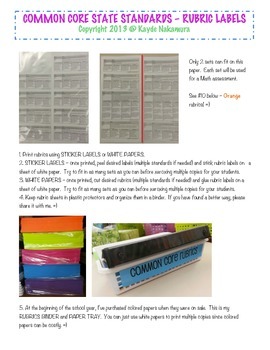 Print all 41 sheets of rubric labels and keep them in a binder.